Don’t stand in the way of car buyers and the Toyota 4Runner: this thing is flying off the lots. 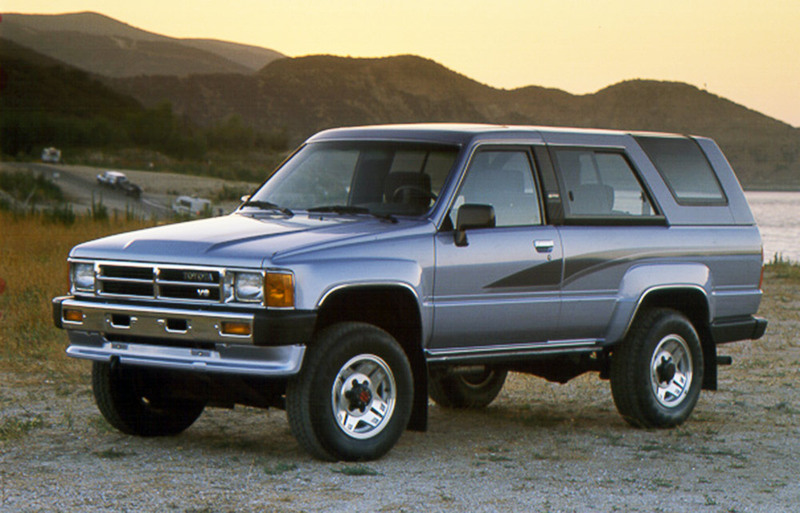 As buyers snap up this obviously truck-based SUV, they really can’t be naive to its bulk and consumption as they might have tried to be in the ’90s. 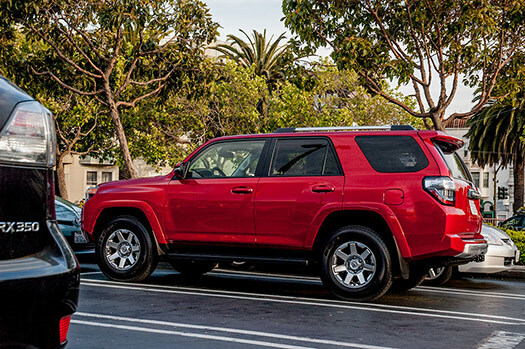 They’re choosing to sign up for it, and a week with a 4Runner Trail Premium tells us why. 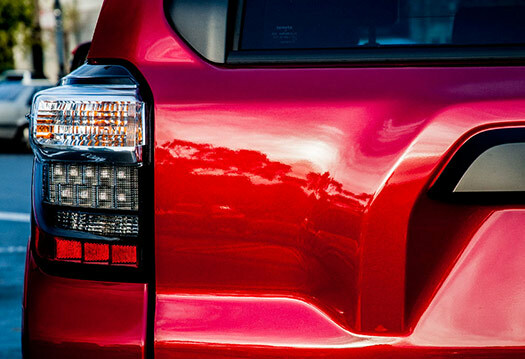 Body-on-frame: that’s what the 4Runner is and has always been. It’s not a car-based unibody that the Explorer has become. 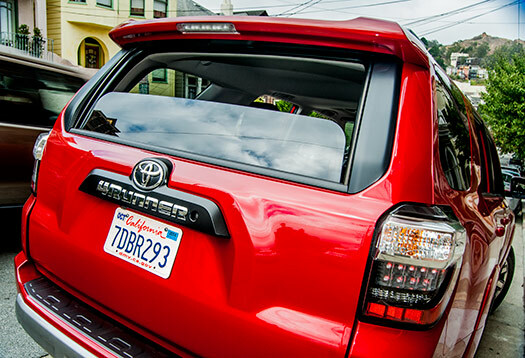 The 4Runner has a ladder-like steel frame underneath a separate body. 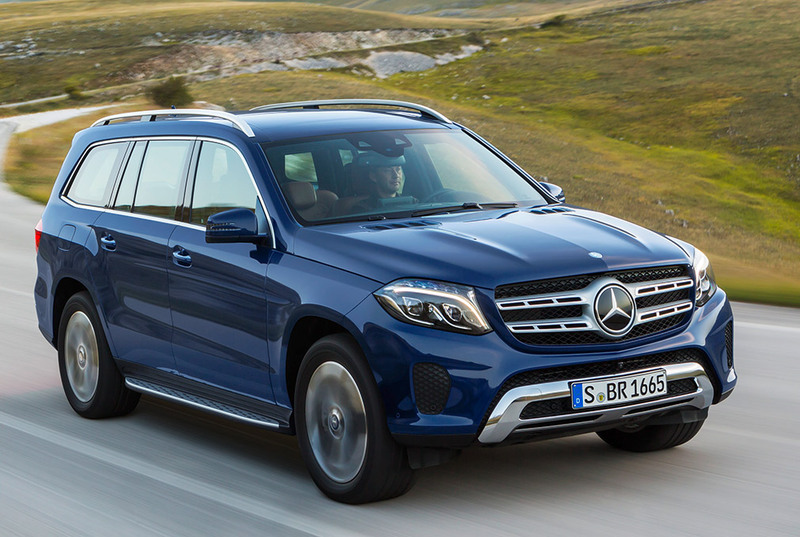 In other words, it’s what the majority of former SUV buyers left when they set the car-based crossover market on fire; most like the look of SUVs but prefer a more docile and less consumptive vehicle. 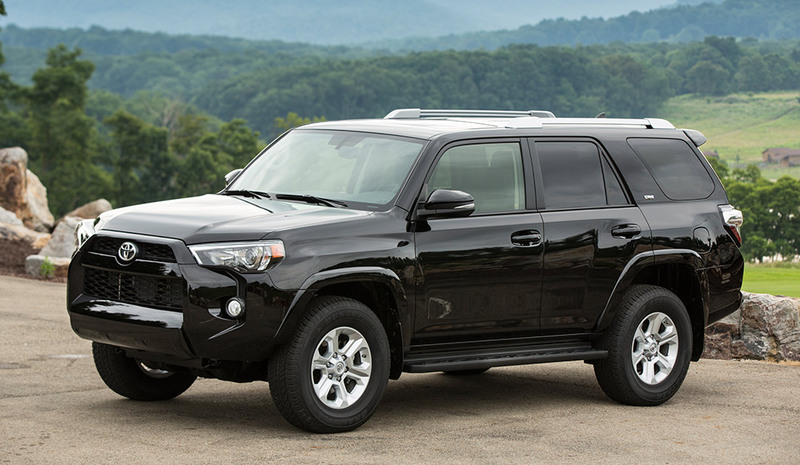 But clearly, there still is a strong core of buyers who want what the 4Runner offers. Latest sales figures show the 4Runner to have a mere six-day supply on dealer lots, and September year-to-date figures have the 4Runner up an astonishing 48% over the year before. Changes for 2015 are minimal, and prices including destination start at $34,780 for the SR5. …and subtracting $50 from $46K gets you into the Limited. 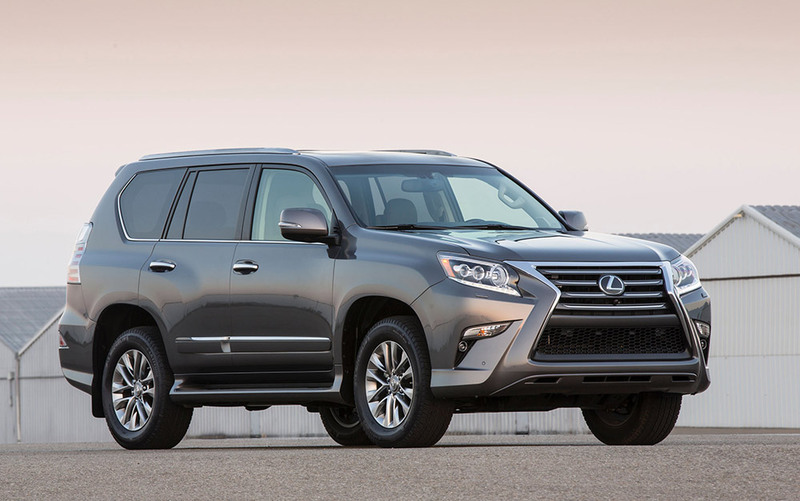 Note that $10 over than $50K is the entry price for the fancy-pants version of the 4Runner, the V8-powered Lexus GS 460. So if you’re tempted by the Limited, you might also consider the GX. Otherwise, you’d probably be cross-shopping the 4Runner with other trucky SUVs, like the Nissan Xterra and Toyota’s own FJ Cruiser. The unibody Jeep Grand Cherokee – or JGC as it has become referred to – would probably also be in the running. 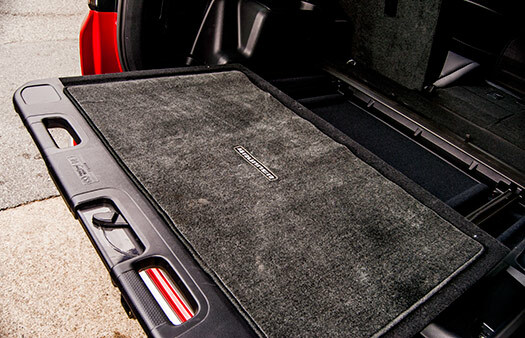 The 4Runner can be ordered with a third seat in the SR5 and Limited trims, and the tested 4Runner Trail Premium had the $350 Sliding Rear Cargo Deck. You can get a rear-wheel drive SR5 or Limited (at least in theory – as of this writing, Toyota’s website has greyed out the RWD Limited for lack of availability, at least in the SF Bay Area), but you can’t get a moonroof in a non-premium Trail or in the TRD. 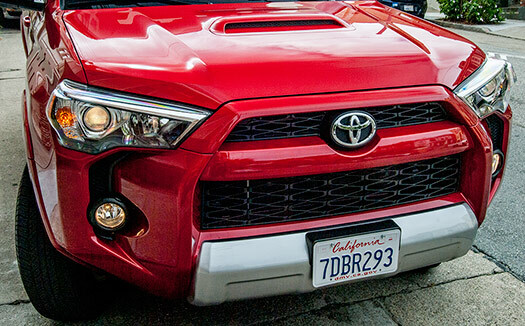 All part of Toyota’s effort to further define the aspects of the 4Runner’s personality. The auto-power-down rear window is rare in today’s market. A standout feature of the Trail is the Multi-Terrain Select system, where you can dial in different wheel slip allowances for conditions like mud and sand, or slopes and ridges. It’s controlled by the overhead console. 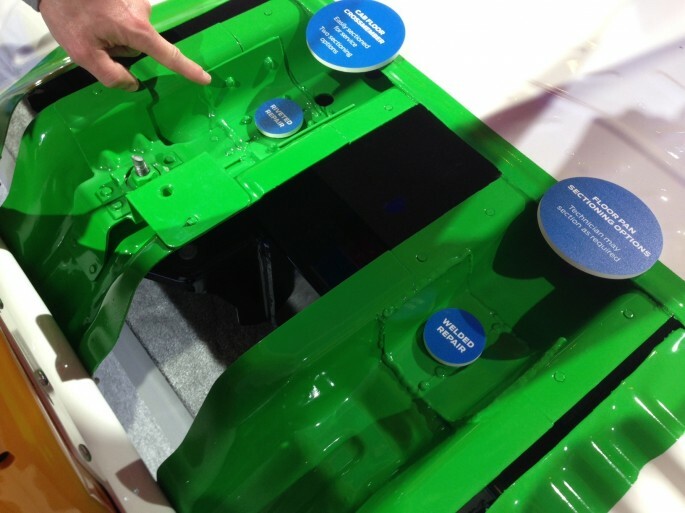 The Trail also includes a crawl-control feature that operates when the transfer case is shifted into low. 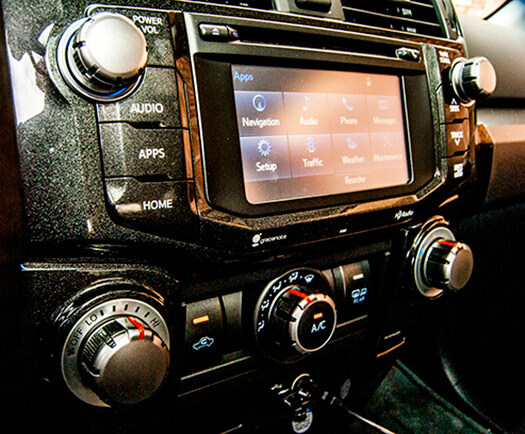 The driver dials in one of five speed settings, and the 4Runner will regulate throttle and braking to maintain a steady speed as the driver focuses on the visuals ahead. 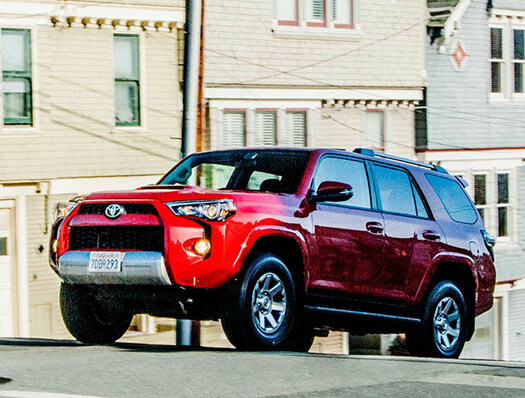 All 4Runners have Hill Assist Control, and all those with 4WDs add Downhill Assist Control. 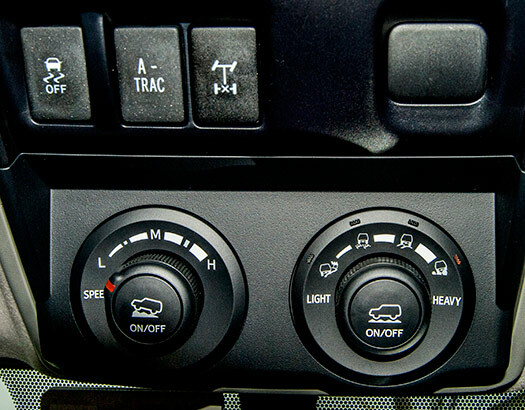 The Hill Assist Control is the window into the tested 4Runner’s soul, in the way it takes a firm press on the pedal to activate it. 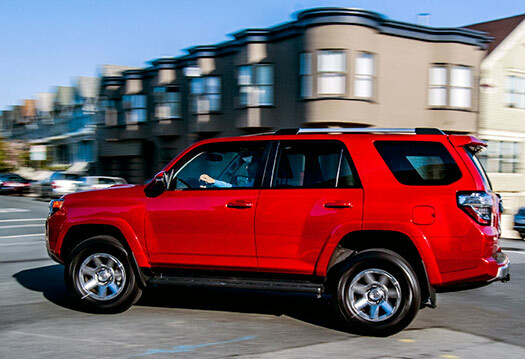 Cars with hill assist typically hop from hill to hill in SF with a hold you don’t think about; the 4Runner’s must at first be consciously dialed in. After a few days, you adapt and apply the necessary pressure. Same with the handling. Toyota adds to the Limited the cheekily-named X-REAS rear suspension that it says will quell the 4Runner’s yaw and squat. We could have used that on the tested Trail Premium, which had enough on-road squat and dive and pitch and yaw to beat the band. 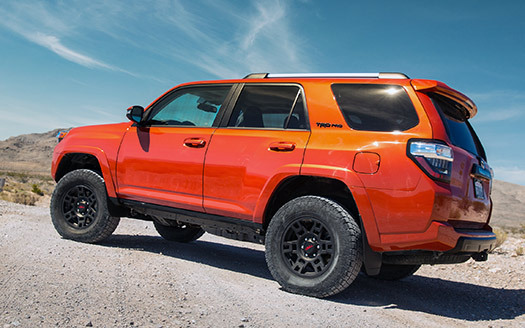 Again, annoying at first, but it becomes kind of fun, and bounding around in such a hobbyhorse was actually an appropriate check to your ambitions with the 4Runner’s 270-horsepower V6 in this inescapably tall and heavy (4,750-pound claimed curb weight) vehicle. Like the deliberate-action hill assist, the body’s constant animation as the 4Runner processes the streets below runs counter to the smooth and quiet cocooning that most drivers would want, and it is another aspect of the 4Runner’s distinct flavor. 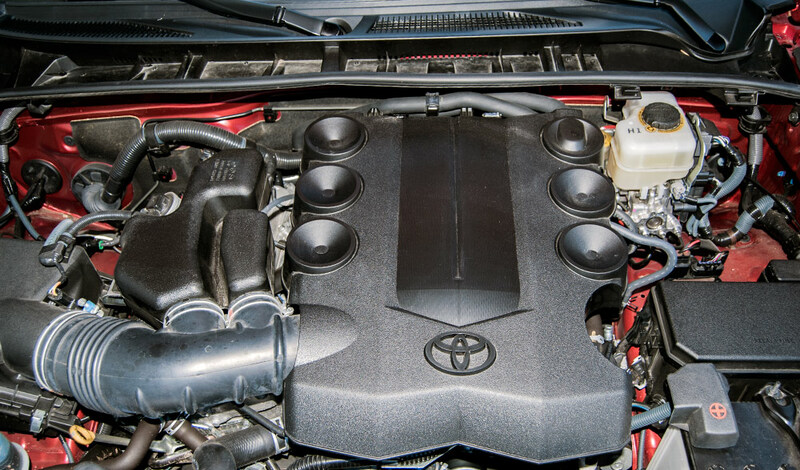 A Toyota with a distinct flavor. That’s also gotta be part of the 4Runner’s appeal. 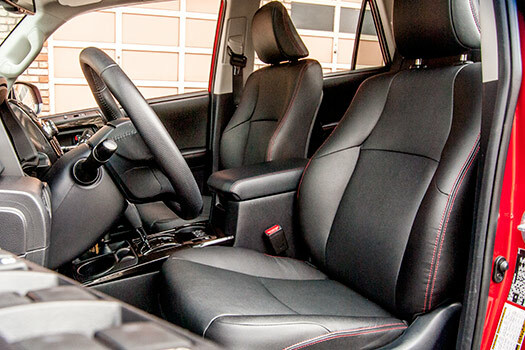 Inside, the 4Runner is comfortable and quiet, with excellent visibility, supportive seats, giant toy-like controls and a responsive, if small, center screen. Extra props to Toyota for its typically seamless Bluetooth connectivity and excellent voice recognition. Volkswagen, please take note. When you drive a different car every week, the differences between them become academic. 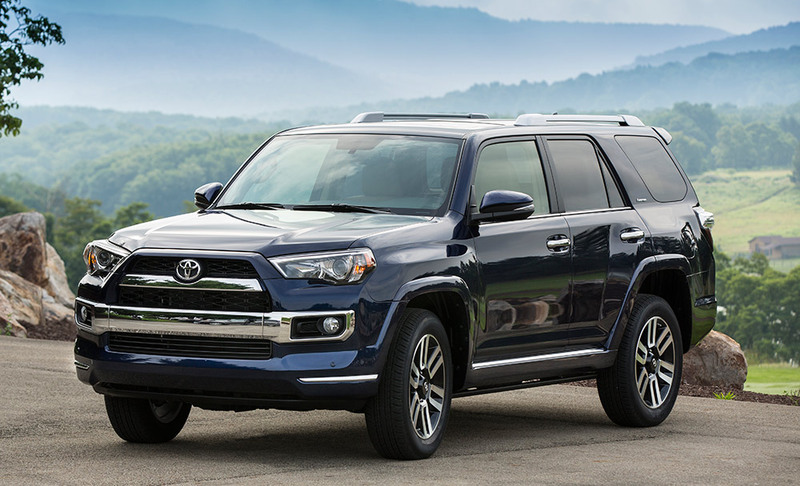 So while I came to like the novelty of the 4Runner’s big-truck demeanor, I still had to question whether or not I’d want to lug around the 4Runner’s weight on its balloon tires with so many thrillingly capable sedans and sports cars that can be had for the 4Runner’s price. Then the answer came like a bolt from the blue. As I was editing the photos for this piece, I was streaming the acclaimed 2009 film “Up in the Air”, and at the 50-minute mark came the detailed rundown of the 4Runner’s appeal. It’s the conversation where George Clooney’s character asks his young charge about the man who just broke up with her. “He really fit the bill,” she says. She replies, “White collar, college grad. Loves dogs, likes funny movies, six foot one, brown hair, kind eyes. Works in finance, but is outdoorsy, you know, on the weekends. I always imagined he’d have a single syllable name, like Matt or John or Dave. Whatever sense the 4Runner Trail does not make as a primarily on-road vehicle is erased by the clear message it sends to those who see you driving it. The Trail’s angry face, hood bulge and could-be-aftermarket wheels tell a complete story of easy masculinity. For a burgeoning number of buyers, that kind of image clarity doesn’t have to make sense. 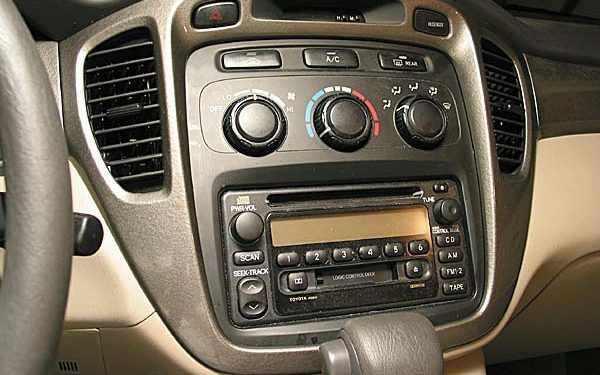 Car Doctor Q&A: $2,000 To Replace a Busted CD Player?